Kangaroo Island is one of Australia’s most pristine regions. Home to an abundance of iconic Aussie wildlife, its awe inspiring beauty and diverse landscape make it an excellent short break destination for those who love adventure, exploration and peace. 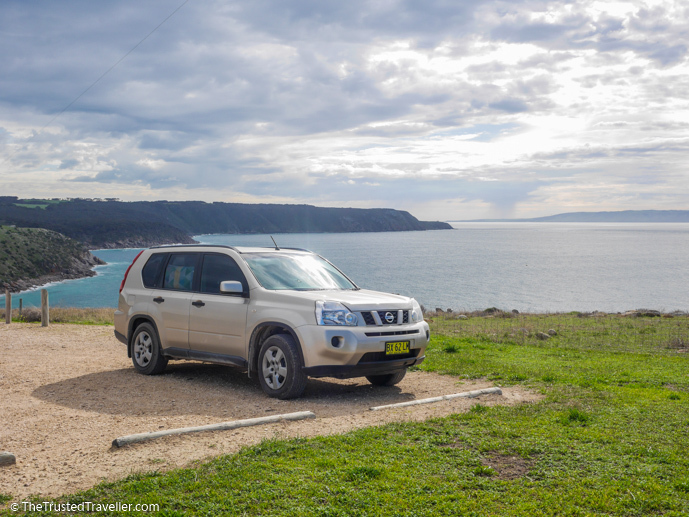 To start your travel planning you first need to know how to get to Kangaroo Island. Our guide shows you how plus we also share with you the best ways to get around once you’re there. Kangaroo Island, or KI as the locals call it, is an island just off the Fleurieu Peninsula of South Australia and is the country’s third largest at over 4,000 square kilometres. The island is bigger than most expect with the distance from east to west 155 kilometres, and north to south 55 kilometres. It’s vast size means it should be more than a day trip destination if you can afford the time. Try to allow yourself at least a few days to see and experience the very best it has to offer. 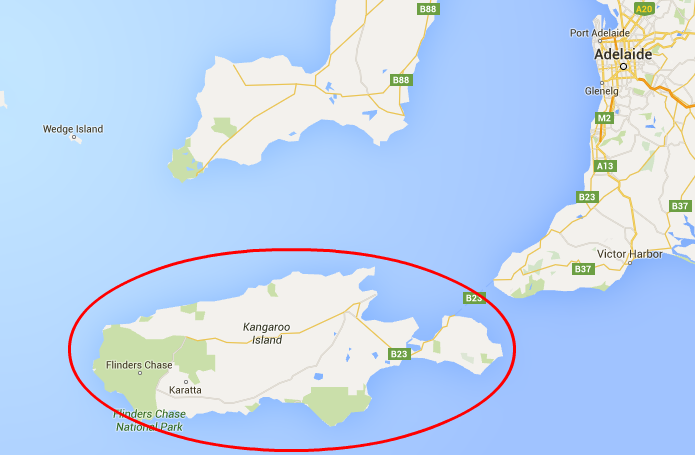 There are two ways you can get to Kangaroo Island, ferry or air. 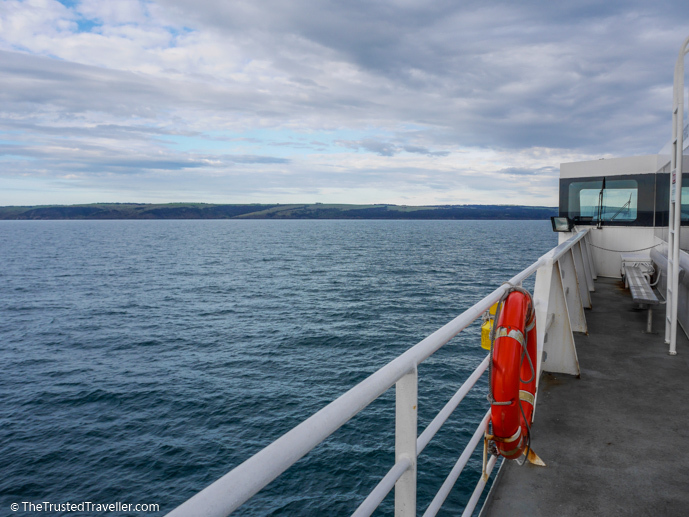 Both have their pros and cons but we personally think travelling by ferry is the better option as it adds to the adventure and is perfect for independent travellers like ourselves. SeaLink Kangaroo Island run four departures to Kangaroo Island from Cape Jervis each day with additional services during peak times. It’s a passenger and vehicle ferry allowing you to bring your own car or caravan to drive on the island. The crossing takes just 45 minutes across the Backstairs Passage to the islands second biggest town, Penneshaw. On-board the vessel is lots of comfortable seating inside and an open outside deck at the back which is perfect for taking in the amazing views on a nice day. 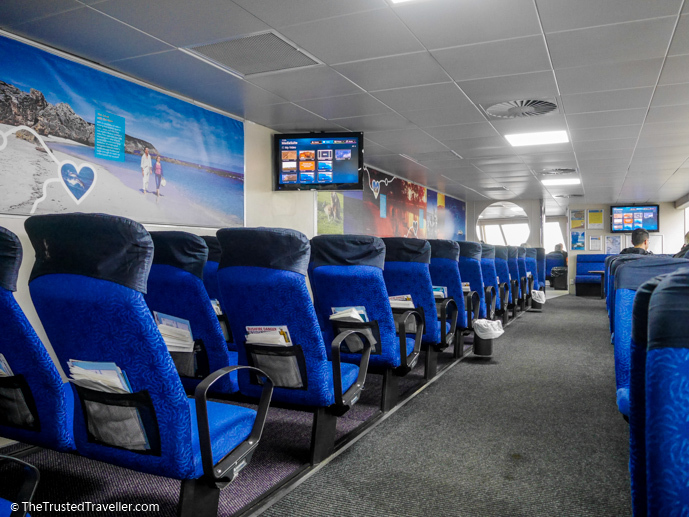 There’s also a cafe where you can purchase tea, coffee, snacks and light meals which you can enjoy while watching the intro to Kangaroo Island video shown on the TV screens throughout the ferry. The crossing can be a little rocky at times so if you are prone to sea sickness, you might like to consider bringing along some ginger tablets or a sea sickness remedy of your choosing to help make the journey more comfortable. 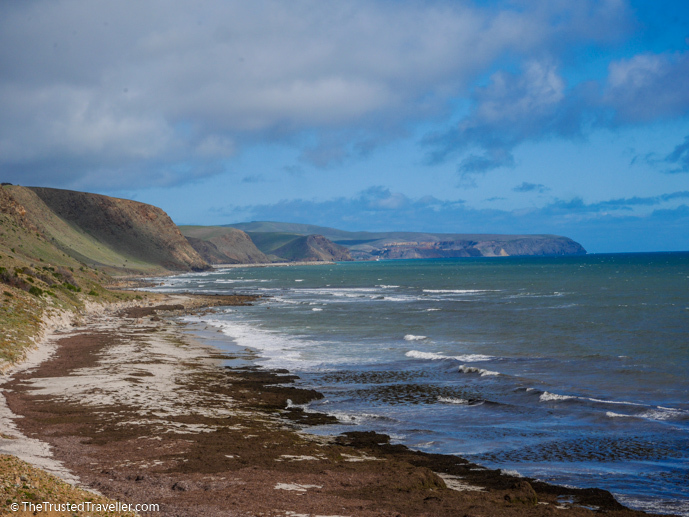 Cape Jervis is located less than two hours’ drive south of Adelaide, on the tip of the Fleurieu Peninsula. 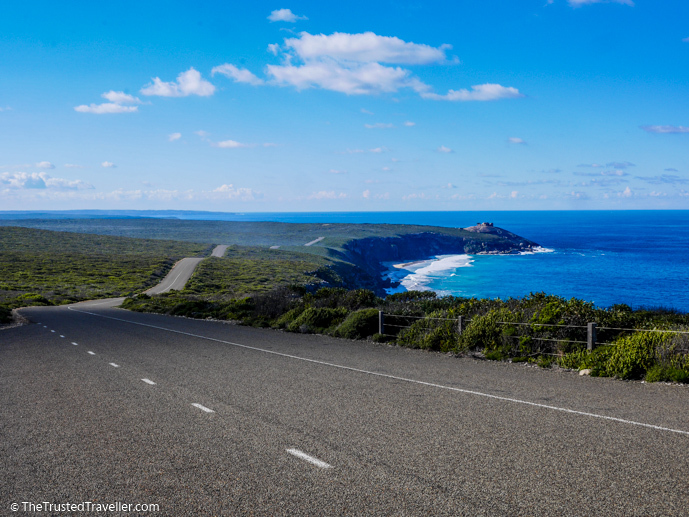 If you have your own vehicle, or have rented one from Adelaide Airport on arrival, you can take the lovely scenic drive to Cape Jervis along the Fleurieu coast. Make sure you allow time for stops along the way. Alternatively, SeaLink have coach connections from Adelaide, Victor Harbour and Goolwa to get you to Cape Jervis. Each coach conveniently coincides with a ferry departure. REX (Regional Express) Airlines operates a few flights a day between Adelaide Airport and Kingscote Airport on the island. Flight time is just over 30 minutes. Travelling by air to Kangaroo Island is best if you are really short on time or if sea sickness is a big problem for you. However, flights are generally more expensive than the ferry, even when factoring in the cost of taking a car over on the ferry. You then have the additional on island transport costs to consider as well. 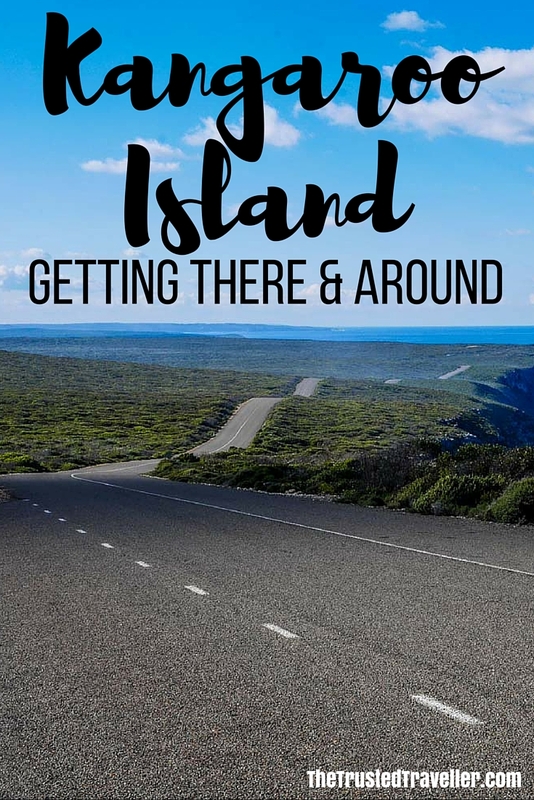 Once you’ve arrived, whether it be by sea or air, SeaLink Kangaroo Island again have you covered with a range of options to explore the island. If you brought your car or caravan over on the ferry then you can take off as soon as the ferry docks and start exploring the island at your own pace. But just because you don’t have your own vehicle doesn’t mean self-driving Kangaroo Island isn’t an option, as there are hire car facilities available at both the Penneshaw ferry terminal and Kingscote Airport. The roads on the island are a mix of sealed one lane each way highways and well maintained unsealed roads. However, be aware that poor weather conditions can sometimes effect the unsealed roads so be sure to drive with care at all time, especially during and after rain. A 4WD vehicle is not necessary as most of what you’ll want to see and do on the island is well connected to the sealed highway with just a few unsealed roads required to get you to a few more out of the way attractions. However, if you are hiring a car, a 4WD or SUV style vehicle will be more comfortable. 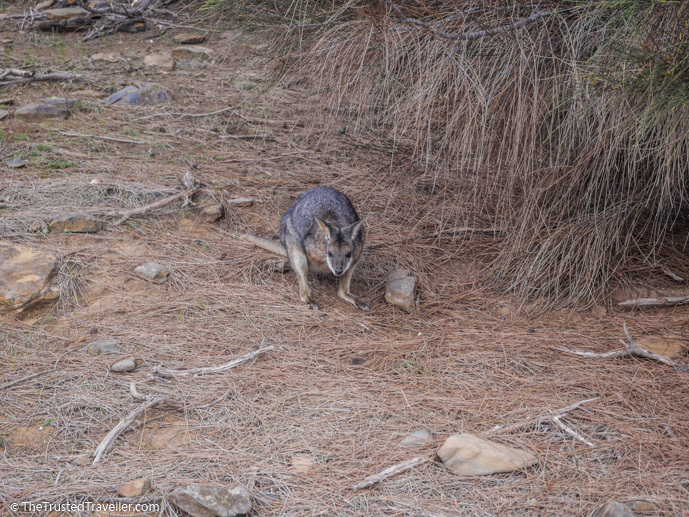 One very important thing to be conscious of when self-driving Kangaroo Island is its wildlife. There is a lot of active wildlife on the island especially around dawn, dusk and at night. Ensure you drive to the conditions and keep a close eye on the side of the road for any creatures that may be unexpectedly trying to cross in front of your vehicle. 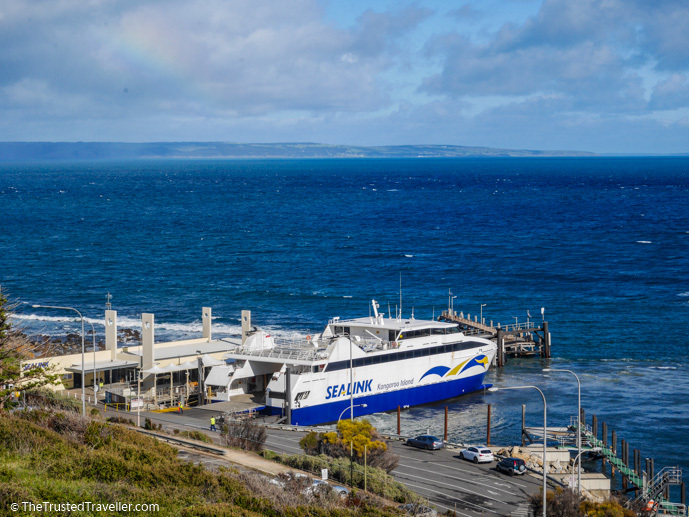 All ferries arriving at Penneshaw are met by SeaLink coach connections that can take you to American River and Kingscote. 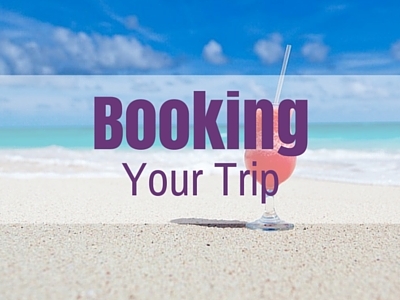 And if you are arriving by air into Kingscote Airport, SeaLink can arrange a coach connection for you to your accommodation in the Kingscote area. If a self-drive vacation isn’t for you and you’d prefer someone else to do the driving then there are a bunch of great escorted touring options that will allow you to see as little or as much of the island as you like. SeaLink Kangaroo Island offer a whole range of escorted tours arriving either by ferry with pick-ups in Adelaide, Victor Harbor, Goolwa or Cape Jervis or by flying out of Adelaide. 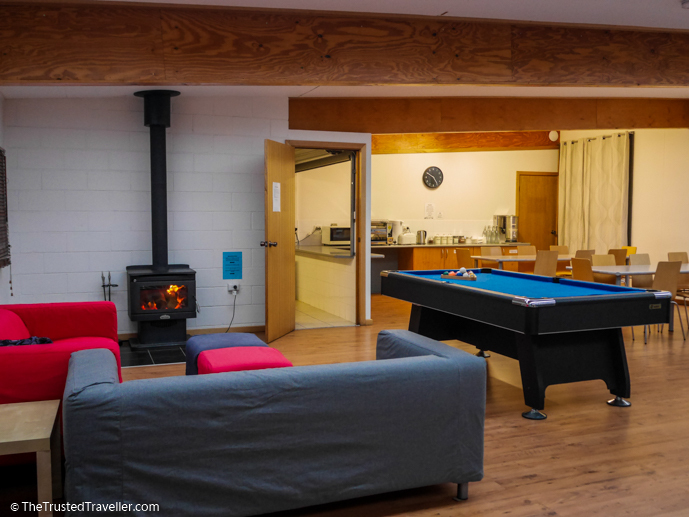 Tours range from one day where you’ll see a few of the islands highlights, to two, three and four day adventures that take in a lot more of what the island has to offer and include accommodation in a range of comfort levels and some meals. They also have touring options that combine a tour of Kangaroo Island with a tour of other regions nearby like the Fleurieu Peninsula, Adelaide, Eyre Peninsula and Murray River cruising. SeaLink Kangaroo Island are a one stop shop for everything Kangaroo Island. They offer all the services you need to get to and around Kangaroo Island, giving you one less thing to worry about. 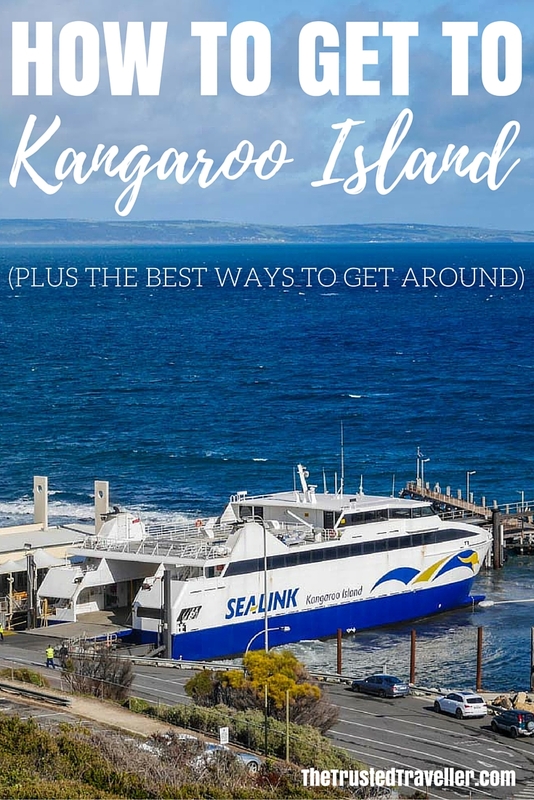 For up-to-date prices and timetables plus more information on the SeaLink Kangaroo Island self-drive packages, escorted tours and fly/drive options, check out the SeaLink Kangaroo Island website. 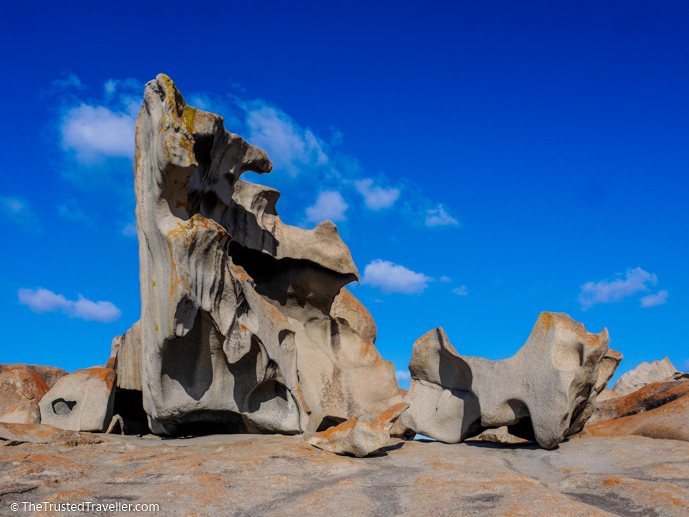 What else would you like to know about visiting Kangaroo Island? It’s amazing. Interesting what you say abut Easter Island. It’s on my bucket list for someday. Enjoy your trip to this spectacular part of the world! We will be there next February for 2 nights. We would like to do a day tour but staying in the island for 2 nights. 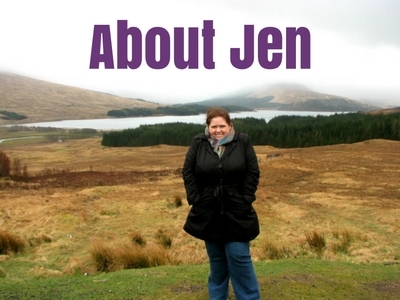 Do you know any tour companies do a day tours in KI? Most one day tours seem like pick up from Adelaide and return back to Adelaide on the same day. And if we don’t have a rental car, is it possible to get around the island via public transportations? Thank you! 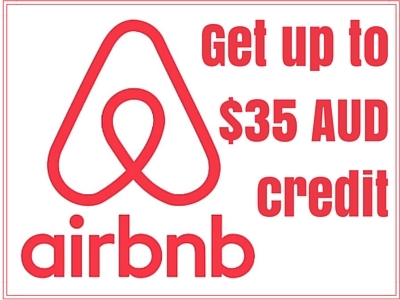 This company does pick up from Adelaide and Kangaroo Island Hotels https://www.kangarooislandodysseys.com.au Getting around on your own without a car would be difficult as there is little to no public transport. To make the most of your trip I would highly recommend having a hire car. It would be cheaper than a tour too.